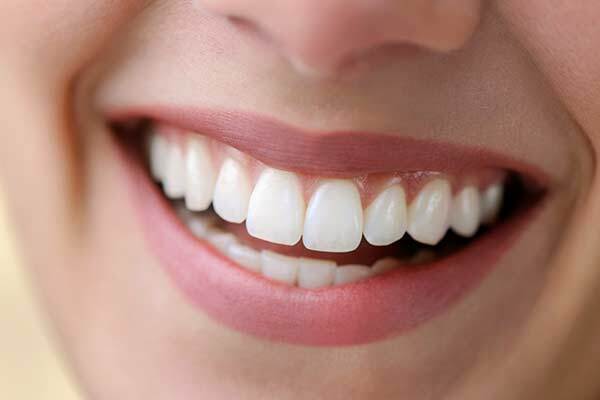 Carmel Dental Associates provides a range of dental implant services in Carmel, NY. Call 845-225-2224 to learn more and schedule your appointment. 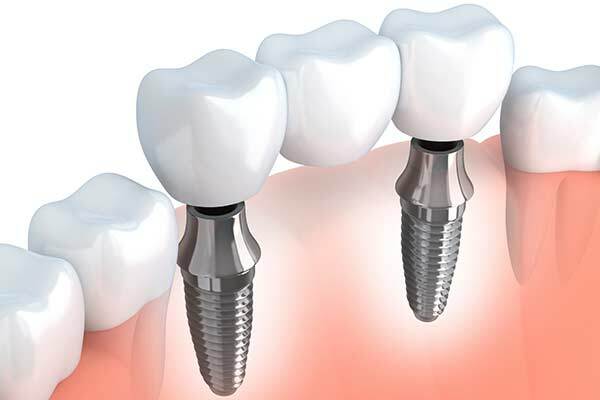 Dental implants are tiny screws made of biocompatible titanium that can actually replace natural tooth roots, providing a strong and stable foundation for replacement teeth. The implants are surgically placed into the jawbone, and then allowed to osseointegrate (fuse) with the jawbone for several months. 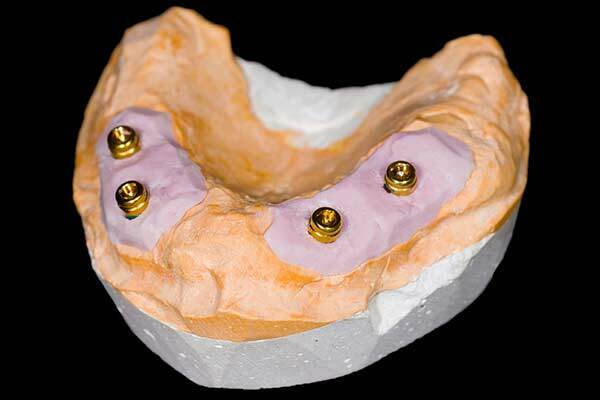 After this process is completed, abutment posts are inserted and capped with replacement teeth. Although one dental implant can support a single replacement tooth, just a few implants can support multiple replacements. A dental bridge spans a run of adjacent missing teeth. While a traditional dental bridge is anchored to the existing teeth at each end, the preparation process actually damages those teeth. An implant supported bridge is anchored on two dental implants, protecting healthy adjacent teeth and providing a highly aesthetic and functional solution. Implant supported dentures are an excellent way to replace an entire upper or lower arch of teeth. “Snap on” implant supported dentures mirror traditional dentures in that they can be removed for cleaning or sleeping. However, they are far more secure than traditional dentures, as they actually lock onto two or more implants. This eliminates the rocking, slipping, and gum irritation associated with traditional dentures. 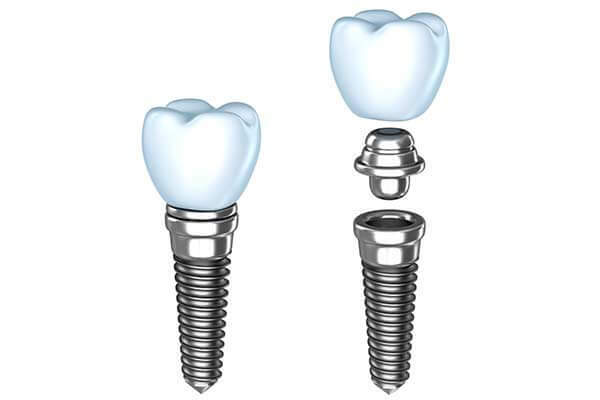 In addition, since the implants replace missing tooth roots, they actually help to prevent bone loss from the jawbone. Normally, when the tooth roots are gone, the jawbone begins to resorb into the body, creating the trademark hollow or sunken look that many denture wearers have. With the implants osseointegrated into the jawbone, this resorption process cannot occur. In fact, the implants stimulate bone growth, helping to reverse bone loss in long-time denture wearers. For those who prefer a fixed, non removable set of replacement teeth, the All-on-Four can be an excellent solution. Just four implants are used to anchor an entire upper or lower arch of permanently attached replacement teeth. These implants are known as immediate-load, which means that the replacement teeth can be attached on the same day as the implants are placed rather than waiting several months for osseointegration to occur. This solution also means that no plastic palate is required for the upper teeth, allowing much more natural speaking and eating to occur. Call 845-225-2224 to learn more and schedule your appointment.